Hydraulic fracturing, or fracking, as defined by Oxford Dictionaries, is the process of injecting liquid at high pressure into subterranean rocks, boreholes, etc. so as to force open existing fissures and extract oil or gas. In the United States specifically, fracking refers to the extraction of natural gas. There main positive aspect that arises from fracking is the collection of methane (CH4), or natural gas. Citizens around the country use this product as much as 33% of their total energy usage, says the United States Energy Information Administration. Before getting into the specific uses natural gas, we must first evaluate the plethora of negative effects of hydraulic fracturing. Fracking, as previously defined, is the process of injecting high pressure liquid; often this liquid is laced with as many as 750 different chemicals, many of them characterized as carcinogenic (Mellino). Furthermore, some of these chemicals are known to cause shortness of breath, chemical burns, blindness, or even death. For many years, drilling companies refused to release the list of chemicals that they were using; many people believe they refused so they would not have to face the consequences of using such harsh and deleterious chemicals. Regardless, other concerns than simply affecting humans and causing cancer is the contamination of clean drinking water. As you can imagine, if fracking is occurring at depths of about six to eight thousand feet beneath the Earth’s surface. Taking a brief look at the image below, you can see the tanker trucks moving on the surface of the ground, acting as transportation units for natural gas, water, sand, or any of the other reactants or products for the process. That truck is the average 18-wheeler tractor trailer. This can give you an estimate of how deep the drilling is taking place. Viewing the zoomed in portion of the image above, there is a layer of water that the drilling must surpass in order to reach the depths necessary of the rock formations containing natural gas. This is where water contamination not only has the potential to occur, but does occur. Drilling companies can add as many layers of concrete as they want; however, the immense pressure of 9000 pounds per square inch at minimum make it extremely difficult to contain liquids at such immense pressures (McGraw). 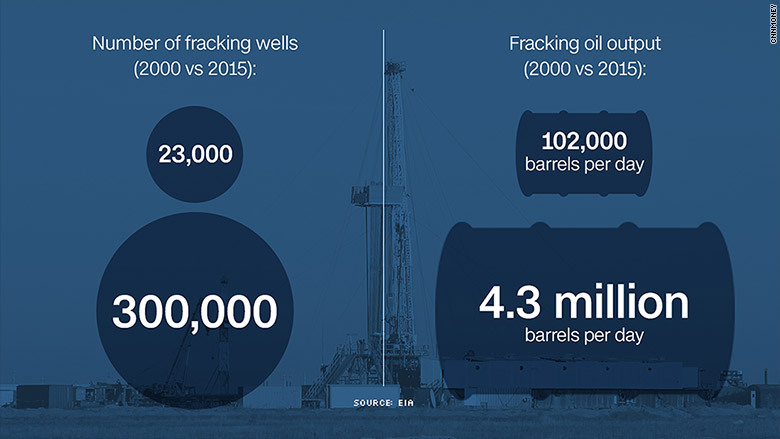 Taking a look back at why fracking is occurring, it is important to evaluate the potential uses of natural gas. The first use is the production of electricity through gas turbines (“Uses of Natural Gas.”). The reason for this production increase is in accordance to its cleanliness compared to coal, and efficiency compared to other electrical producing methods. Approximately one third of all captured natural gas is used in the residential sector of the country, mainly for heating and cogeneration. This fancy term, cogeneration, is the combination of heating and energy production through the use of natural gas, which can take place in your home at the same time (“Uses of Natural Gas.”). Also, stoves and ovens use natural gas, which is more efficient than all other methods of cooking by those means. There are many other uses that arise from natural gas as time moves forward, more uses that scientists discover. All of these uses seem to make a convincing argument for the continued collection of natural gas. This should be the case, however, the negative side effects are just too significant. A song on youtube, “My Water’s On Fire Tonight”, is a product of Studio 20 NYU in May of 2011. This video explains some of the harms of fracking, as well as attaching a catchy melody that can carry on the negative mentality of fracking with anyone that decides to view the video. There are many positive and negative effects of fracking, and it is important to consider both sides of the argument when deciding whether or not fracking is an acceptable means of harvesting natural gas. There is no telling where the future of natural gas collection will take the country, but many the number of people anti-fracking seem to have a stronger argument than that of the affirmation. I look forward to continuing this evaluation of fracking, and exploring how it plays a role in the health or harm of individuals and continuation of society’s technological advancing movement. “DISTILLATES (PETROLEUM), HYDROTREATED LIGHT.” Centers for Disease Control and Prevention, Centers for Disease Control and Prevention, 1 July 2014, www.cdc.gov/niosh/ipcsneng/neng1379.html. “Fracking.” Oxford Living Dictionaries, Oxford University Press, en.oxforddictionaries.com/definition/fracking. McGraw, Seamus, and John Wenz. “The 10 Most Controversial Claims About Fracking.” Popular Mechanics, Hearst Communications, Inc., 23 Aug. 2016, www.popularmechanics.com/science/energy/g161/top-10-myths-about-natural-gas-drilling-6386593/. Mellino, Cole. “EPA Report Finds Nearly 700 Chemicals Used in Fracking.” EcoWatch, EcoWatch, 1 Apr. 2015, www.ecowatch.com/epa-report-finds-nearly-700-chemicals-used-in-fracking-1882023934.html. “U.S. Energy Information Administration.” What Is U.S. Electricity Generation by Energy Source? 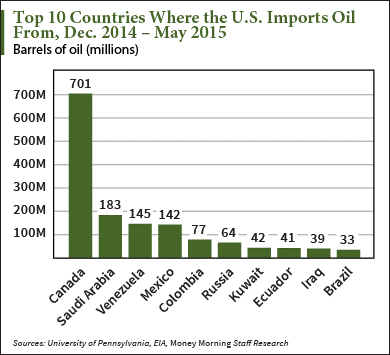 – FAQ – U.S. Energy Information Administration (EIA), U.S. Department of Energy, 1 Apr. 2016, www.eia.gov/tools/faqs/faq.cfm?id=427&t=3. “Uses of Natural Gas.” Natural Gas Uses: Electric Power, Industry, Vehicles, Homes, Geology.com, geology.com/articles/natural-gas-uses/. “Uses of Natural Gas.” Union of Concerned Scientists, Union of Concerned Scientists, www.ucsusa.org/clean-energy/coal-and-other-fossil-fuels/uses-of-natural-gas#.WJIAVxsrLIU.